Confession: I’ve become a cruiser! We all know the tried-and-true arguments for and against cruising: They nay-sayers will tell you that cruise itineraries are too generic and you will never let you get to the heart of a destination or they’ll say the food is bad and the pool deck is crowded. On certain ships, I won’t argue with them. The cruisers that have “drunk the kool-aid” will rave about the convenience of unpacking only once, the decadence of top-notch servers that really get to know you while you’re on board, or the fun social-scene on board and the joy of traveling with like-minded people. After my experience on Silversea, I can’t argue with them, either! 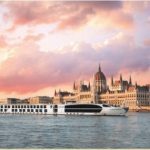 As I see it, the world cannot be seen by cruise alone, but there are many destinations that were made for cruising and there are several high-end cruise lines that have perfected the model and the key is choosing a small ship. I think 600 guests is the ideal maximum; 400 or less is even better. You want a ship that can handle itineraries to unknown ports and take you off the beaten path and you never want to feel crowded. From there, everything else is icing on the cake. You’ll find luxury cruise lines that are super inclusive (even the airfare is covered); you’ll find cruise lines that offer intimate yacht-style ships, and you’ll find cruise lines that offer overnights in port so you can spend a night out on the town. Take your pick! 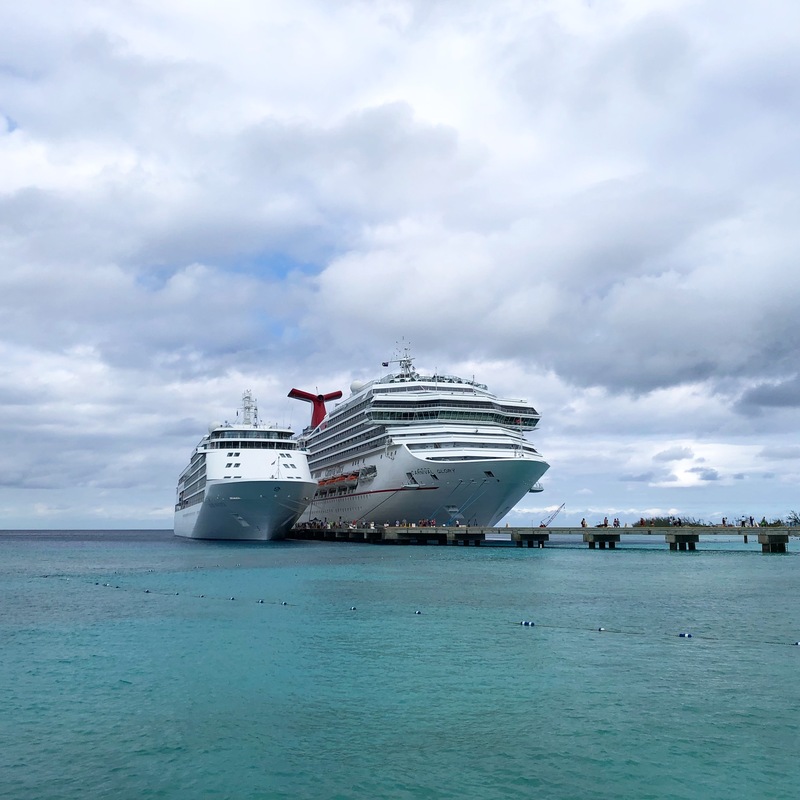 The Silver Whisper (382 guests) next to the Carnival Glory (2,980 guests) … The key to luxury cruising is small ships! 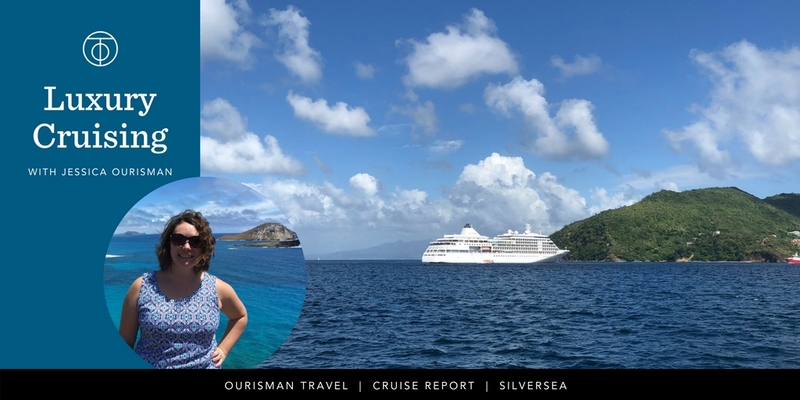 For my first foray into luxury cruising, my 10-day cruise on the Silver Whisper was a superb introduction! 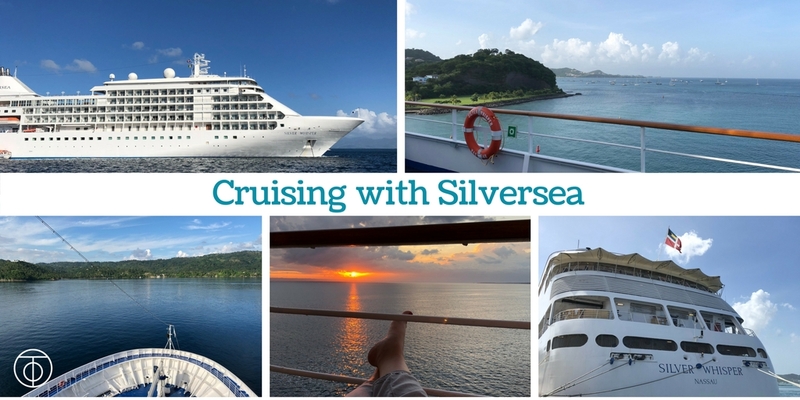 The main features that differentiate Silversea from its competitors include: butlers in every cabin, gourmet dining and a partnership with Relais & Chateaux, a jovial, but not overly energetic social scene, and extraordinary space to guest ratio. I was floored by the quality of service during my cruise. Everybody from the butler to the bar tenders to the shore concierge staff were warm, friendly, and genuine. They weren’t happy until I was happy. When you’re in port, a few staff members will join each of the excursions, which is an excellent way to get to know them better (and for them to keep an eye on quality control on shore as well as on the ship). I really loved this social aspect of experiencing our destination with the staff. They pay attention to every detail! By the 3rd night on the ship, I fell into the habit of ordering a glass of rose to take to my balcony to enjoy the sunset every evening. And, somebody took note, because a bottle of rose was waiting for me in my minibar on the 4th day. I still put in my order at the pool bar for the social aspect of being able to chat with other guests, but I appreciated the gesture. The Silver Whisper has 4 dining options and quality of dining as well as range of options are a signature feature for Silversea. This is a foodie’s cruise! After trying all of the dining options at least once, I honestly loved the menus in the main restaurant so much that I only ate dinners there for the rest of the cruise. The menu is different each night so I never got bored and the wine pairings were perfect. The premium wine list (those wines that come with an extra charge) was really well priced for anyone wanting to try a wine they’ve always heard about but never tried, but I was perfectly happy with the complementary selection. The other dining options for dinner are La Terrazza serving an Italian menu (they don’t mess around; the pasta is made fresh daily!) or La Dame, the Relais & Chateaux French restaurant (with a $60 up charge), and the Pool Grill with fun “hot rock” dining under the stars. Reservations are encouraged for the 3 specialty restaurants just to make sure you don’t have to wait for a table, but you can simply waltz into The Restaurant whenever you’re ready for dinner. The best part is none of the dining venues require group seating. You are free to dine when, where, and with whim you please. The ship also has an ingenious all-around dining menu. This menu is available 24-hours and serves as your room service menu, but you can also order from the menu in any of the restaurants or in other public areas when restaurants are not open. All you have to do is call your butler. After a few days on board, I found the lunch menu at the pool to be a little stale as it wasn’t updated daily like the dinner menus. So, ordering from the all-around menu provided necessary variety. I was fortunate to be joined on my cruise by several staff members from the Silversea itinerary development and reservations offices. They provided me with some behind the scenes inside into the ports Silversea visits and the relationships they have with the local authorities and tour companies in each port. They take their jobs very seriously. After the hurricanes in the fall of 2017, they had to reroute several cruises including mine and they found themselves using ports the ship had never visited before. Silversea sent a tactical advance teams to make sure everything would run smoothly and many of the guests on my cruise were blissfully unaware of the flurry of activity going on behind the scenes – as it should be! 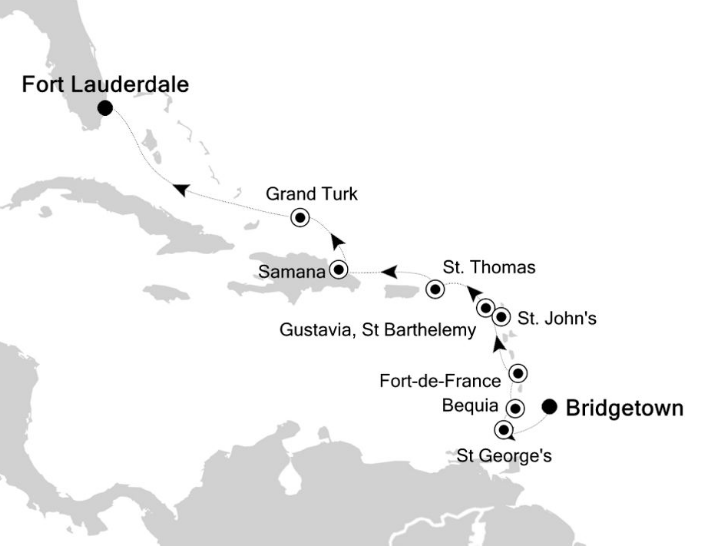 My 10-day itinerary began in Barbados and worked its way to Fort Lauderdale, Florida making calls at Granada, Bequia, Martinique, St. Barts, Antigua, St. Thomas, Dominican Republic, and Turks + Caicos. I was able to take in a few valuable hotel site-inspections and check in on hurricane recovery on the effected islands and more detailed reports will be posted to the blog over time. Beginning in Barbados – this worked perfectly. I caught a Jet Blue flight out of Fort Lauderdale the day before the cruise arriving late at night and was on the ship in time for lunch by the pool the next day! If you can spare the time, I would recommend going in 2 or 3 days prior to the start of any cruise as Barbados is a destination worth some exploration and we have plenty of luxury resorts to choose from to kick off the vacation in style. Bequia (pronounced Beck-wy) is the small neighbor island to the famous Mustique resort island and it offers the same calm, perfect blue waters. This is a relaxed island that celebrates its “hidden gem” status and its laid-back vibe makes it a favorite port for sailboats and private yachts. We arrived on a breezy day that was perfect for sailing; the cloudy water wasn’t great for snorkeling so my snorkel excursion became a sailing excursion and we scooted around to some hidden beaches around the island with Bob Marley tunes and the rum-punches free flowing. This was definitely my favorite day of the entire cruise and I’ll be keeping my eye out for future cruises that pay call to Bequia. Driving around St. Barts – Our beloved island of St. Barths was hard-hit during the hurricanes and I was eager to pay a visit and check in on the recovery efforts. I enlisted my friend Sophie from All About St. Barts to show me around. We hopped in her Mini Cooper and tooled around the island looking at beaches and hotels. There were plenty of blue-tarped roofs and piles of debris, but there was an equal amount of construction equipment cleaning it up as fast as possible. A few of our favorite hotels have already opened and the rest will be open by November 2018. In the meantime, we have an inventory of amazing private villas available for rent. Until all of the resorts and beach clubs are back in business, St. Barts is going to return to its quieter days and it is a perfect time to sneak in for a hideaway vacation. All of the luxury hotels on St. Barth’s are closed for hurricane repairs. Two will open in March and the rest won’t follow till November. 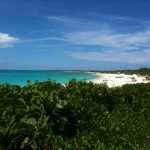 So, can you still visit the island in 2018 post hurricane Irma? Yes! There are 100+ private villa rentals up and running now and more coming online every day. Most restaurants, shops, and beach clubs plan to be open by Christmas. There’s definitely some visible hurricane damage around the island, but it is coming back strong and fast and the clean-up investment is equally visible. So keep an open mind, but if you love St. Barth’s as much as we do, there’s no reason to stay away! So, I’ve drunk the kool-aid! So much so that I’ve booked myself on a European River Cruise and a Mediterranean Cruise later this year. I’m looking to test my limits with cruising and learn which cruise lines and ships work the best for me! In the meantime, we are definitely here to help you book your next cruise and I’d love to hear from our cruising clients! This entry was posted in Cruise and tagged Caribbean, Cruises, food, Relais & Chateaux, Silversea. Bookmark the permalink.